First coming to prominence as an actress and scandalous celebrity, Mary Robinson created an identity for herself as a Romantic poet and novelist in the 1790s. Through a series of literary dialogues with established writers, Robinson put herself at the center of Romantic literary culture as observer, participant, and creator. Cross argues that Robinson’s dialogues shaped the nature of Romantic writing both in content and form and influenced second-generation Romantics. 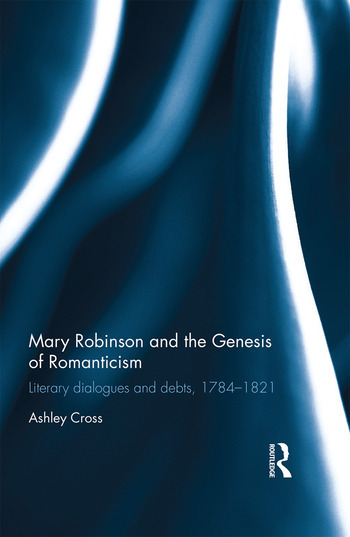 These dialogues further establish the idea of Romantic discourse as essentially interactive and conversational, not the work of original geniuses working in isolation, and positions Robinson as a central player in its genesis. Ashley Cross is Professor of English at Manhattan College, USA.